Is Inner Ear Regeneration Possible? Advanced Rejuvenation has been working to put together the most cutting edge therapies for the treatment of inner ear conditions. Currently we are focused on the combination of physical adjustments to the bones of the skull, which also release certain connective tissues surrounding the ear, as well as laser therapy applied to the ear. More in-depth look at LumoMed for Tinnitus Care. To understand how these treatments work you need a good understanding of hair cells. Hair cells in the inner ear are the nerve cells that allow us to perceive sound waves. They are essential for our balance, hearing and proper brain function. Without them we would be deaf and disoriented. If hair cells are damaged in any way, we suffer permanent hearing loss or debilitating balance disorders. We are finding these insufficiencies are also intimately connected to our brain function and can cause issues with proper coordination of the eyes and movement of the body. Since the autonomic nervous system is also wired through these pathways, function of the gut, heart ,liver, kidney and bladder can all suffer from issues from your hair cells. With these little cells being so important, you would think this would be a major area of new medical breakthroughs… but it’s not really compared to other areas of medicine! What are these hair cells? Under a microscope, they look as though they have a tiny hair protruding from them so they are called hair cells. Stereocilia are the organ made of hair cells, and they bend in response to sound or other mechanical influence. There are two types: auditory and vestibular. Auditory hair cells, which detect sound, are located in the cochlea of the inner ear. Movements of the stereocilia are transmitted to the brain and interpreted as sound. Our sense of balance is also made possible through vestibular hair cells. These are located in vestibular organs. Besides loud noises, ototoxic drugs (drugs which damage the hearing), lyme disease and other bacterial infections, viral infections, and trauma can all damage hair cells. The good news is that the possibility of hair cell regeneration in mammals has been confirmed! Even Harvard has done studies supporting this technology. See Study here. Inner Ear laser therapy must be performed with specialized lasers as well as machine settings that have been discovered by Dr. Kaiser in Germany. Laser therapy might hold the most promise for those suffering from hearing loss, tinnitus and balance disorders. Several doctors have been working with the application of laser therapy for regeneration of the hair cells in the inner ear. The concept is that by supplying energy in the form of photons into the inner ear, the hair cells can utilize that energy to repair and regenerate themselves. Dr. Amon Kaiser has been working with lasers for more than 20 years, after his father pioneered the methods in the 70’s. (Click here for several video interviews with Dr. Amon Kaiser) It is well known that laser therapy can have an influence on growth factors and stem cell activation. Both stem cells and growth factors have been studied by major medical institutions, and both have shown hair cell regeneration effects. Another aspect of this treatment is a high safety profile, little risk of injury, and results show efficacy in hearing loss, tinnitus and balance in most cases. Other therapies Advanced Rejuvenation offers for Inner Ear Health. Another exciting therapy for the inner ear is NAD+ Therapy. NAD+ is a key nutrient that drastically declines with age and stress. It is also a key nutrient for energy production which the hair cells in the inner ear desperately need to maintain themselves. For more information click here. Treatment of tinnitus may be effective by using whole-body cryotherapy. Using short exposure to freezing conditions may improve energy production at a cellular level. Click here for a study on WBC and Tinnitus. Also see Lumomed.com for more information. Additional modalities for inner ear disease. 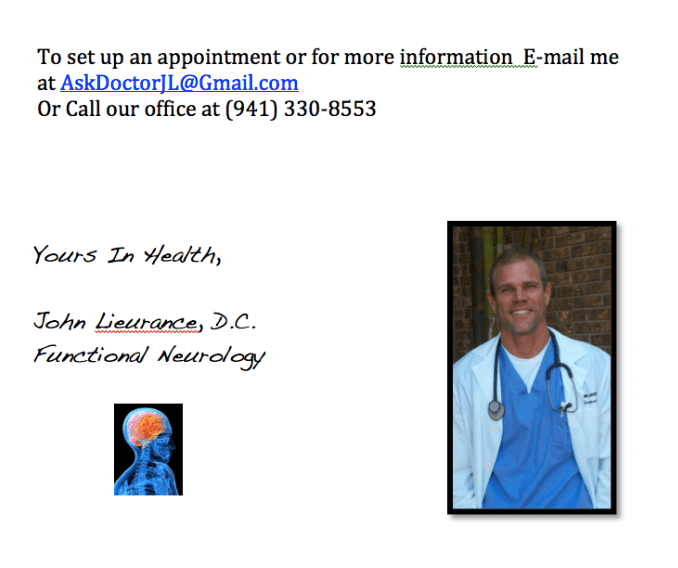 Why are manipulations and functional neurology applied to our U.S. based therapy protocols? 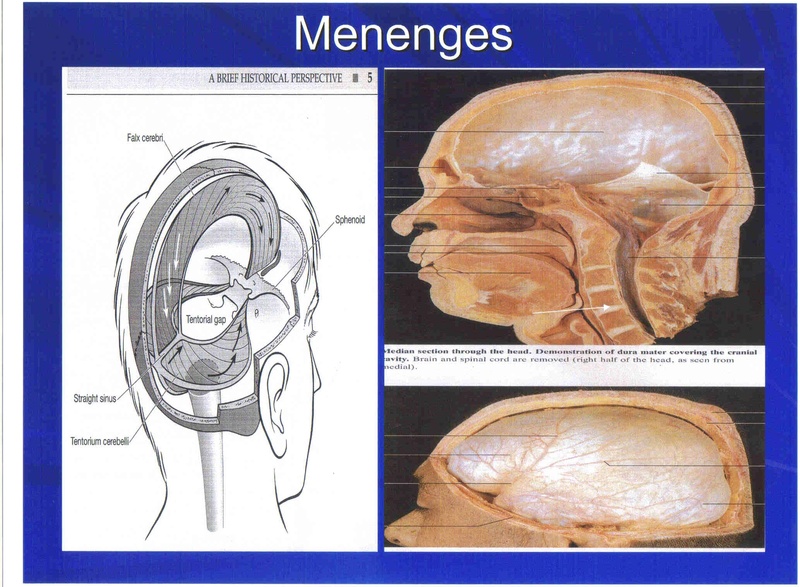 Menenges or Dura Mater may get adhesions that can cause tinnitus, hearing loss and balance disorders. There are dense connective tissues that wind, wrap and connect to the inside lining of the cranial bones. These connective tissues are called dura mater (dura) which in Latin mean “tough mother.” “Tough” because it has 2,000 lbs per square inch of strength and “mother” because it acts to protect the very sensitive tissues of your central nervous system. The dura actually becomes the whites of your eyes and is the lining of the sinus as well as into the area around the inner ear. I always like to give the example of a swamp versus a river. Which one is a healthier environment? The river of course, as it has good circulation of nutrients and keeps things clean and free of debris and toxins. Circulation acts to “bring in the groceries and take out the garbage.” Without this, organs and tissues in your body become a breading ground for virus and bacteria, which has been shown to be a major cause of stress and damage to the inner ear. Lymphatics channels the ears as well as most other parts of your body and creates what is called “drainage.” If you have poor drainage you have a swamp and a perfect terrain for microbial growth. On top of this there is poor nutrient delivery of key vitamins, amnio acids and minerals to provide building blocks for proper maintenance and repair of damaged tissue. This is what FCR works on with the specific endo-nasal balloon manipulations to release these tissues and turn the inner ear environment into a river. This can lead to healing and regeneration of the cells and tissues in the inner ear. Besides this benefit, the combination of the cranial adjustments with the functional neurology have been seen to make significant improvements in cases of hearing loss, tinnitus and balance disorders, which are due to central nervous system causes. (Read my article regarding central causes of tinnitus.) Many times it is impossible for the brain, eyes and muscles of the neck and spine NOT to suffer imbalance. With functional neurology, we have specific ways we activate the nervous system using a variety of modalities based on your exam findings. Many times exercises are prescribed to perform in the office and at home. Below are videos of, non-lumomed, treatments for vertigo, tinnitus, and hearing loss treatments and patient testimonials.